Sheri Davis is a single mom of four kids, from ages 5 to 16. 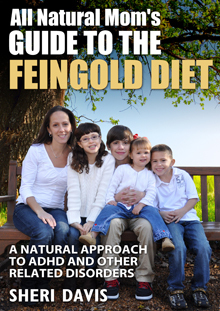 She started the Feingold Diet for her oldest child when he was 4 years old and saw amazing results in just two days. 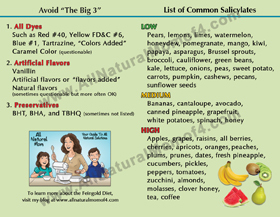 She has been blogging about the Feingold Diet, the GFCF (gluten and dairy free) diet, ADHD, autism, supplements, biomed, her faith, and all things natural since 2009. Her family deals with symptoms of ADHD, Tourette’s, high-functioning autism, dyslexia, seizures, food allergies, and more. Sheri has a passion for educating parents and helping moms help their kids. In 2015, she started the Treating ADHD Naturally Conference which is held in collaboration with AutismOne. To view the videos from the 2016 Chicago conference go here. The 2017 conference will be held on May 24, 2017 in Colorado Springs. To register for this event, go to www.mothersdetermined.com. 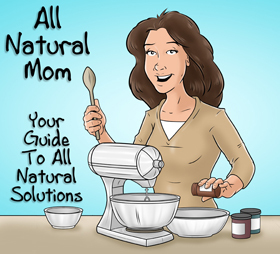 In 2014, Sheri authored, “All Natural Mom’s Guide to the Feingold Diet” which quickly became a best-seller and has over 170 five-star reviews. 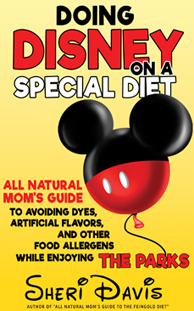 Her second book, “So You Wanna Go All Natural – A Practical Guide for Implementing an ADHD-Friendly Diet and Lifestyle With Kids” will be released in early 2017. In 2016, Sheri started coaching parents on how to treat ADHD naturally via diet, supplements, and testing. Use the “Contact Me” link to set up an appointment. Sheri has a Bachelor’s degree in Business Administration from Elmhurst College and she resides in Illinois with her family.